Grab your Normandy France map and follow along as we cover some of the highlights of this popular traveler's destination. If you look along the northern coast of France, you will see the English Channel. Then look between the northern regions of Ile-de-France and Picardie and you will find picturesque Normandy, home today to over three million residents. 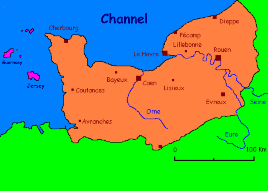 It's so massive that it is divided into Upper and Lower Normandy, and then again into five departments. While France's southern beaches have long been a tourist hot spot, more and more people are choosing the rural French lifestyle in Normandy as the place to kick back and relax. As your Normandy France map indicates, Normandy boasts a rolling countryside, lush forests, and biking trails along which you can cycle from town to town and from village to village. Recently there has been a significant increase in demand for property rental in Normandy, including luxury apartments, compact pied-a-terres, and spacious country chateaux and mansions. There is something to suit every budget and every visitor. While the appeal of modern-day Normandy is its breathtaking landscape, quaint, traditional villages and towns, dramatic beaches and cliffs, and peaceful ambiance, the history of Normandy is far removed from this image. Normandy's beaches are forever etched in history as the place where the allied troops stormed down to begin a series of battles which would ultimately lead to the downfall of Nazi Germany during World War II. Every year, veterans and their families or families who lost a loved one return to Normandy to go on a battlefield tour and learn more about the events of that time and their loved ones. 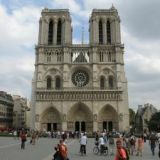 If you look at your Normandy France map, you will see some of the region's most famous monuments and museums marked in. If you go online, some tour operators even display a map of the cemeteries were you can look for the grave of a loved one or do a search on family members. Did you know that you can also travel through Normandy and neighboring Brittany on a cruise ship? Going on a Normandy cruise allows you to take in many destinations in only a few days. At the same time, you will enjoy world-class French cuisine, activities and entertainment, and exceptional service on board. If you check your Normandy France map, you can follow the ship's route which typically takes in Normandy destinations such as Rouen (once the capital of Normandy and where Joan of Arc was burned at the stake), the old port in Honfleur, Giverny (where you can visit painter Claude Monet's studio and the gardens which inspired much of his work), Bayeaux, and many more. 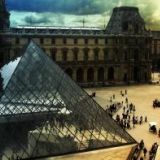 Planning to visit Paris too? Check out this map.